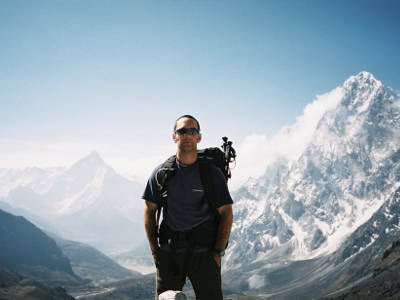 Peak Tours was established by Steve Coackley in 2006. 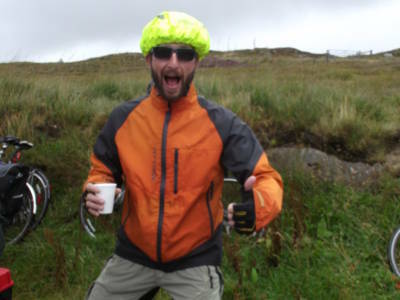 Born and bred in the High Peak or Dark Peak area of the Peak District Steve has walked and cycled extensively throughout the Peak District for many years. Prior to setting up Peak Tours Steve cycled around the world on an unsupported trip along with three friends from Scotland, China & Australia. 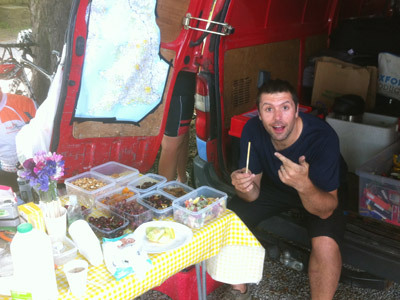 The journey took Steve through Europe, Russia, Kazakhstan, China, USA & Ireland covering 12,700 miles in eight months. All travel by land was by bike and the group carried everything they needed to be self sufficient. 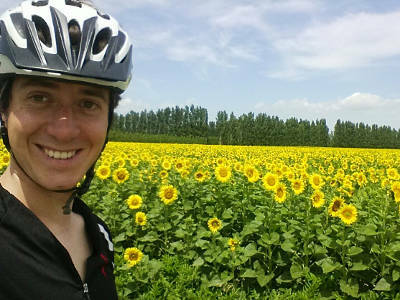 Apart from getting arrested in the Xinjang autonomous region of Western China on suspicion of being spies the tour was generally trouble free. 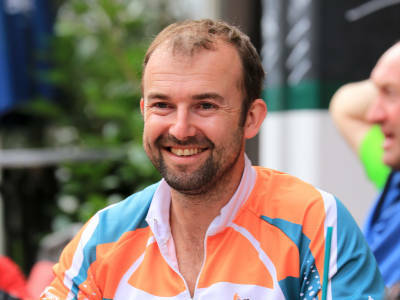 On returning home Steve left his career in finance to work as a tour leader for the adventure travel company Explore Worldwide, leading walking & cycling tours in Turkey, China, India, Poland, Ukraine, Macedonia, Greece, Finland & Bulgaria. 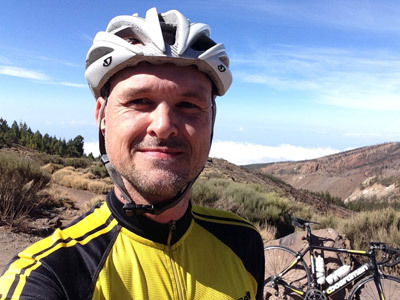 After working with Explore, Steve founded Peak Tours which provided Cycling & Walking Holidays in the Peak District and also Cycle Hire in the Peak District. In 2010 Steve and his small team did their first Lands End to John o’Groats Cycle tour quickly followed by the Coast to Coast tour. Over the next few years they provided more and more LEJOG tours and also added the Way of the Roses route. They soon realised that people had such a good time on the LEJOG tours that they wanted similar holidays run in the same way and so the idea behind the Dover to Cape Wrath tour was born (opposite two corners to the LEJOG). In 2014 they ventured abroad and started the Moselle to Mozart Cycle in Germany & Austria and then in 2015 they started the extremely popular Channel to the Med tours from one end of France to the other. Each year they continue to research and add new tours to their repertoire and thoroughly enjoy meeting all the new people who join the Peak Tours caravan and also catching up with those long serving cyclists who keep coming back for more and have become good friends. After working as a ‘one man band’ for many years Steve soon realised that he needed help with the running of the business and also needed more and more guides to lead the tours. Now with three full time staff and over thirty guides, Peak Tours continues to grow and there are many new tours in the pipeline so watch this space! Peak Tours was established by Steve Coackley in 2007. Born and bred in the High Peak or Dark Peak area of the Peak District Steve has walked and cycled extensively throughout the Peak District for many years. Prior to setting up Peak Tours Steve cycled around the world on an unsupported trip along with three friends from Scotland, China & Australia. The journey took Steve through Europe, Russia, Kazakhstan, China, USA & Ireland covering 12,700 miles in eight months. All travel by land was by bike and the group carried everything they needed to be self sufficient. 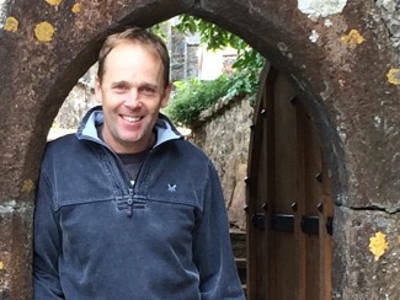 On returning home Steve left his career in finance to work as a tour leader for the adventure travel company Explore Worldwide, leading walking & cycling tours in Turkey, China, India, Poland, Ukraine, Macedonia, Greece, Finland & Bulgaria. I’ve been working for Peak Tours since 2013 and since escaping a full-time teaching job I now spend my summers happily guiding groups from one end of the country to the other. I’m also a cycling instructor, mountain bike leader, bike mechanic and general cycling obsessive. Did I mention that I like riding bikes? Trevor is married and has 3 grown up children. His day job is running a small charity in South West London, providing support to boys needing male mentor/father figures. 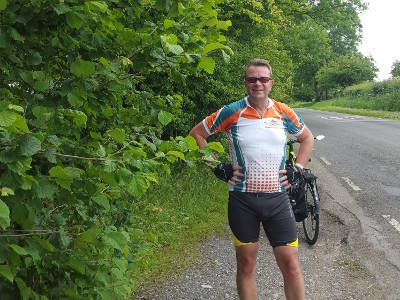 He has completed a number of long-distance cycle journeys with his friends and family and recently became a National cycle instructor. Niv is an Adventure guide with 20 years of experience. 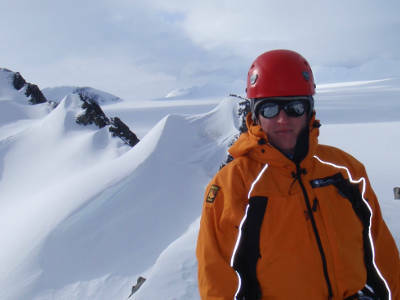 He has works as a mountaineer ,climbing, polar guiding, dog sledding, canoeing, caving, trekking and most importantly as a cycling guide in many areas of the world. He looks forward to sharing his experience and will go the extra mile to help you succeed and enjoy your tour. The jagged lake district fells first sparked my interest for the great outdoors, having spent summers there as a child and later as part of the Scouts. I later enrolled on a 3 year degree in outdoor studies, based in Ambleside, so called ‘heart of the Lakes’. Here, with hills in every direction, I was able to nurture this thirst for adventure daily and became an avid cyclist as well as keen walker and climber. My experience on the course enabled me to work with various outdoor activity companies and eventually I trained as cycling instructor In Manchester, where I call home now, conveniently on the boarder of the Peak District national Park. Here I coach cycling skills for Manchester council with all ages and enjoy sharing my love for the sport. I still make regular visits to the Lakes when I’m not racing buses through central Manchester! When I discovered that the opportunity existed to guide people on cycling holidays I immediately applied and sure enough, I had found my dream job! My cycling background is a mixture of touring, single track mountain biking and road cycling. I enjoy all sides of the sport and always enjoy the excuse for another bike! Hi I’m Johnny..I completed a Lejog in 2012 as a customer of Peak Tours. I was fortunate enough to be offered the opportunity to be a guide with this expanding and friendly company. In the past three years, I have completed eight Lejogs, one Dover to Cape Wrath tour and one Channel to Med French trip. I have completed a Cytech Home Mechanics Course. Phil is 41 and lives in the heart of the Peak District with his wife and young son. He has worked in the outdoor education industry for nearly 20 years, in outdoor centres up and down the country and for a youth charity in Edinburgh. Phil has found his calling recently as a full-time dad and house husband. However he has an expensive bike habit to fund, so occasionally he is allowed out to guide for Peak Tours and to work as a freelance instructor around the Peak. Oh my ….. how now …. shall I spend my days? Swimming, running, cycling, hiking & mountain biking. 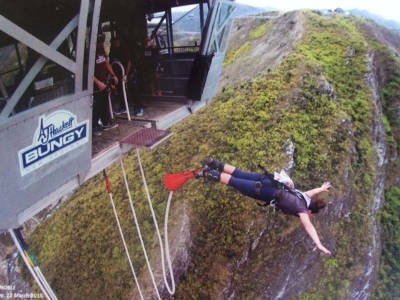 Living the dream & living on the edge – That’s just my kinda’ liking! Now a fully qualified CYTECH bike mechanic & Mountain Bike Guide, my Road bike & Mountain bike are forever by my side! A wanderlust at heart, adventure seeker too, Bring on the adventure, bring on the delight. I look forward to our Peak Tours Adventure to take flight!